Directions: Cut off the stem and the thick veins of light green on the leaves. Use only the dark green leaf portion. Grind it with a tablespoon of water. Squeeze the paste through a muslin cloth or a strainer. Drink the liquid which may be a tablespoon or two of papaya leaf juice. Within 3 hours your platelet count jumps up. Do the same procedure the next day, two papaya leaves, remove stem and veins, grind the green leafy part with a tablespoon of water, strain the juice through a muslin cloth or through a strainer. Drink the juice and that's it. You are cured. JAGGERY with RAW SMALL ONION should be eaten simultaneously, For curing Dengu Fever affected people. Blood platelets starts to decrease for those people and this medicine will helps in increasing the count of blood platelets and increases the immune power thereby it cures Dengu fever. Its an effective medicine for this kind of fever. Really its true. Please forward this message as much as possible and save lives. 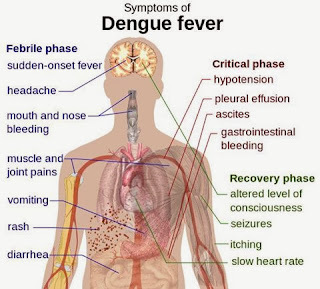 Dengue fever is a disease caused by four related viruses spread by a particular species of mosquito. 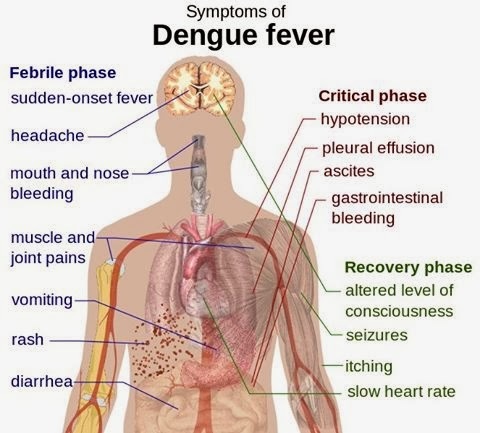 Mild dengue fever causes high fever, rash, and muscle and joint pain. 1) Take 2 pieces of raw papaya leaves, clean them. Pound and squeeze out the juice through filter cloth. Two tablespoon per serving once a day. Do not boil or cook or rinse with hot water, it will loose its strength. Only the leafy part and no stem or sap. It is bitter in taste, just swallow it. a) Cut fresh onion in to small pieces and put them in a wide-mouthed jar (or any other suitable glass container). Mouth of the jar should be wide enough to allow use of a fork or spoon. b) Fill the jar with vinegar sufficient to cover all the onion pieces. You can even fill the jar completely. c) Keep it for a day to allow time to vinegar to seep in to the onion pieces. It is ready for use. You can start using it even immediately. d) Use few pieces with lunch or dinner or both everyday till the dangerous season is over. e) Store it in a refrigerator. f) When required, refill the jar with onion pieces in the same way in the same left over vinegar. g) More vinegar may be added when its level s. You need not use fresh vinegar every time you refill the jar. 3) Neem leaves, Neem Oil are a great purifying agent and should be applied on a damp warm cloth in dosages of between 15 to 60 grammes 2-3 times daily. It should be noted that usage should be restricted in both males and females seeking pregnancy. 4) The leaves of coriander can be taken in the form of a tonic to reduce the fevers in dengue. 5) Fruits rich in vitamin C like amla (embellica officinalis) are advised as vitamin C helps in better absorption of iron. 6) Chyavanprash can be taken as it is an immunobooster, blood purifier and increases blood count. 7) Boiled tulsi that is basil leaves served in a warm drink like tea can help prevent an outbreak of dengue. This bitter and pungent herb has all the properties that strengthen the internal system against fever. 8) Use Tulsi leaf ten pieces and one black pepper. This should be the proportion. Grind it and make pea size pills, use it with water. 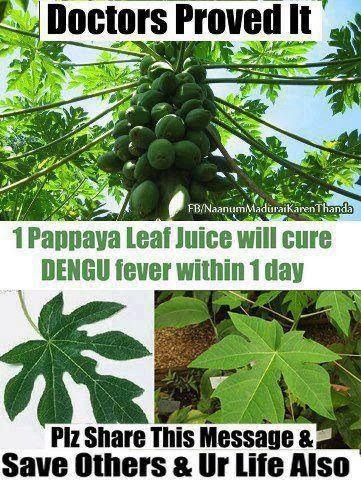 9) Papaya juice is a natural cure for dengue fever. 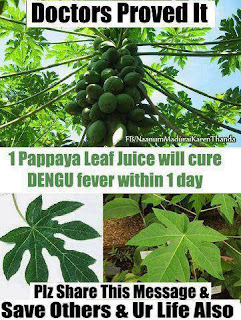 The juice of Papaya leaf is a sure cure for platellete deficiency. 10) Chirayata has tremendous medicinal properties in the reduction of fevers. It is used for remedying the convulsions that accompany fevers in dengue. 11) Fenugreek leaves are taken as herbal tea in order to reduce fevers. This drink acts as a soothing and cleansing tea for the human system. 12) Orange juice helps with digestion, increased urinary output, promotes antibodies for faster healing and recovery. 13) Mix 1/2 spoon dry ginger powder in 1 cup buttermilk. drink daily for 14 days. 14) mix 2 spoons sugar candy powder in 4 spoon basil leaves juice. drink for 14 days. 15) add 1 spn cumin seed powder, 2 pinch black pepper powder & 2 spns sugar in 1 cup Aloe vera gel. drink daily for 14 days. fever as well as chemicals in body goes. With rising cases of Dengue Fever in many prominent cities, its time to know what to do in case of contracting the disease. Dengue can be fought effectively with some natural remedies provided you have a good regime of taking the following steps. ☛ Taking proper sleep and rest. Besides this all the herbs included below will help in containing Dengue effectively.